The Pokémon Go mobile game has taken the world by storm, and if Not for Profits move quickly donations won’t just be virtual reality, writes Jane Metlikovec, digital account director at communications agency Think HQ. 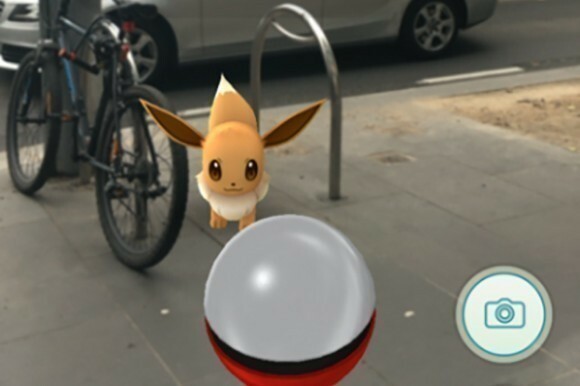 I spent Thursday’s lunch break walking the backstreets of South Melbourne chasing Pokémon. Caught three, levelled up, got an egg and a 2-kilometre walk. A good result all round. I was also lured to a café where the owner had thrown a few dollars onto the Pokémon Go app for a 30-minute lunchtime Lure. Dozens of South Melbourne workers had taken the bait and were there. I dare say a few bought a sandwich. A publican friend of mine told me yesterday that a social media post about her pub being a Poké Stop had sent patronage skyrocketing. Yes, it’s a craze. Yes, it’s quite silly. And yes, it can be all a little difficult to understand. But if Australian Not for Profits and charities move fast, they just may snare a little piece of the extremely large Pokémon pie. When apps think monetisation, they often go for ads, ad free streams and straight up purchase fees. But the Poké-brains have nailed it with their geo brilliance, where their augmented reality mobile game is ready to hand anyone the controls – and at a cost, of course. For those now familiar with the app (and who isn’t, right? I mean it has been out at least six days! ), they know that if you hit your home screen Poké Ball, you can buy items. One of these is a Lure Module, where you can pay to attract wild Pokémon to your location – if it is at or very close to what the game calls a Poké Stop. If you drop a Lure Module there, all other players in your area can see it, and chances are, a group will soon amass of like-minded people waiting for the chance to nab that elusive little monster. So what’s the benefit for Not for Profits? For any Not for Profit holding an event that is aimed at people aged under 40, dropping a Lure at your event (you’ll need to check in the app if a Poké Stop is there) could easily attract people who otherwise would not be there. For $1.49 you can buy one Lure Module, which will last 30 minutes. Or you can purchase a package of 8 Lures for 680 Pokécoins… You can buy 550 Pokécoins for $8 – you can do the maths. Another idea is to arrange a Pokémon specific meetup, promote it through your social media channels and create your own short walk, casting Lures for a good cause and a small donation. For individuals, there is also an app called Charity Miles, where you log on and go for a walk or run and earn points which translate into earning money for a listed charity of your choice (my current Poké-chase is generating the goods for UN charity, Girl Up). Run this in the background of your smartphone (or on another phone if you carry multiple handsets), and rack up your donations as you chase Pokémon. But what about privacy and safety? Yes there has been much recent news about the Pokémon Lures and people not paying attention walking across roads and these are real and valid concerns. As with anything online, there is a privacy risk. Pokémon have been clear about how they have addressed privacy concerns- particularly over Google accounts- over the past few days. Pokémon isn’t for everyone. Pokémon isn’t forever. But if Not for Profits move quickly, then a few little virtual monsters just may do a lot for your cause. About the author: Jane Metlikovec is the digital account director at communications agency Think HQ, which specialises in projects of substance… and Pokémon. 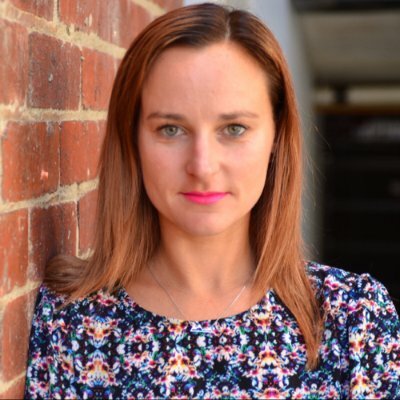 Jane Metlikovec is the account director of digital for communications agency Think HQ .